The Federal Government has launched a review into Australia’s underperforming petroleum resource rent tax (PRRT), Treasurer Scott Morrison announced today. 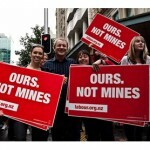 It was reported in the Sydney Morning Herald on Monday that an Auditor-General investigation had found that multinational companies were claiming billions of dollars in tax deductions while exploiting Australia’s natural resources. 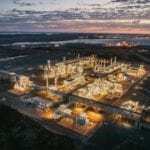 Last week, Former minister Craig Emerson, an architect of Australia’s tax system on natural resources, also called for a parliamentary inquiry into why liquefied natural gas (LNG) exports are not delivering a meaningful contribution to the country. According to Fairfax Media reports, just five per cent of the 150 oil and gas operations in Australia are paying any PRRT. 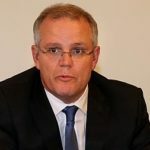 Morrison said the government review would ensure that the PRRT provides an equitable return to the Australian community from the recovery of petroleum resources without discouraging investment in exploration and development. “The government welcomes the recognition and support to date from the industry on the potential for reform to the PRRT and we look forward to working with the industry on how we can ensure this important tax measure is working in the way it was intended,” Morrison said. Led by independent expert Michael Callaghan, the review team will report back to the government by April 2017. The review will examine the design and operation of the PRRT, as well as the crude oil excise and associated Commonwealth royalties, that apply to the onshore and offshore oil and gas industry. Foreign worker review panel excludes union representation.